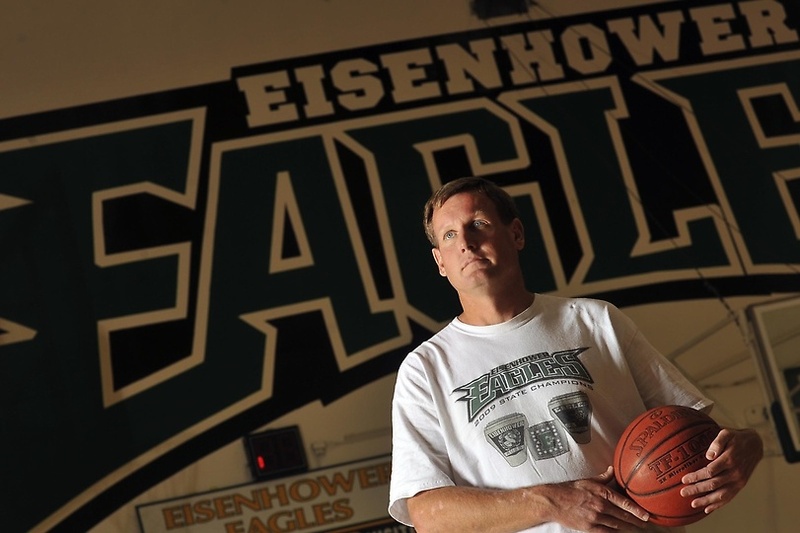 Decorated coach Steve Johnson will not return as Eisenhower High School’s athletic director or boys basketball coach this coming school year, according to Rialto Unified School District director of communications Syeda Jafri. The two-time Daily Bulletin Coach of the Year returned to his athletic director position briefly after recovering from gunshot wounds suffered Jan. 21 at an inner-city park in San Bernardino. The 47-year-old Johnson was not asked to return as athletic director by newly appointed Eisenhower principal Scott Sparks. Johnson chose not to return as boys basketball coach for a program he turned into one of the area’s best over the last 19 years. UPDATE: Eisenhower basketball coach and athletic director Steve Johnson is likely facing more surgeries after being shot multiple times Jan. 21 at at Seccombe Park in San Bernardino. The shooting caused damage to Johnson’s stomach and intestines in addition to breaking bones in his arm, according to this report. It was determined fairly quickly that the injuries to Johnson, 47, were not life threatening. He was in fair condition as of Jan. 23. The two-time Daily Bulletin Coach of the Year was able to drive himself to a police station despite the gunshot wounds and was later transported to Loma Linda University Medical Center for treatment. Here is the complete story of the events that began at 8 p.m. Monday night. An eventful week at Miller High School ended with conclusion of its three-month search for a new head football coach. The replacement for Marcus Soward will be a 26-year-old first-time head coach from Clovis High School. Justin Nast, a Washington D.C. native, was impressive in his interview, as detailed in this story, but also did some interviewing of his own by getting in tough with former Miller coach Jeff Steinberg. After interviewing football coaches for weeks, Miller athletic director John Romagnoli conducted an interview of a different nature Tuesday when he visited Eisenhower basketball coach Steve Johnson in the hospital. It was “a surreal day,” as described by Romagnoli, who is also the Miller basketball coach and has competed with Johnson for years in the Citrus Belt League. The Miller girls basketball program was also highlighted this week, in a feature story on senior Rachel McCoy, who hadn’t played organized sports before high school. She is now a Division-I scholarship basketball player and a state champion in track despite only having competed for two seasons.